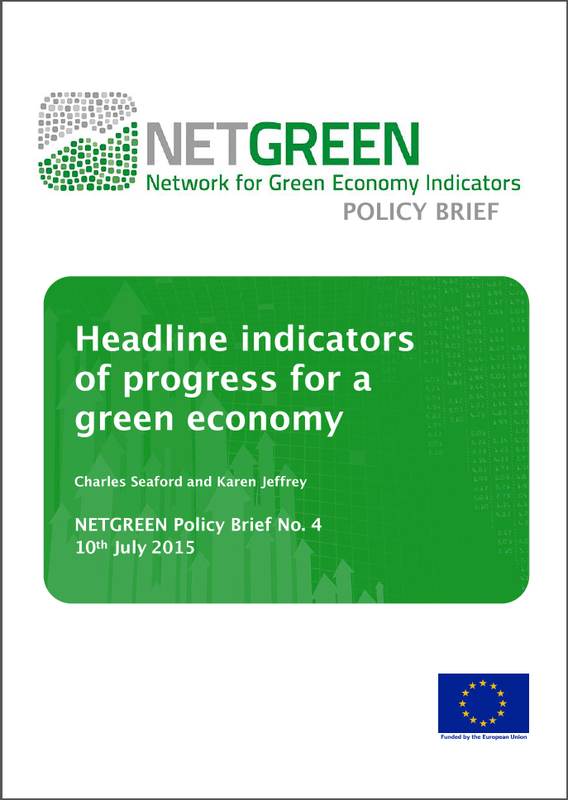 This paper was originally prepared by The New Economics Foundation (NEF) as a briefing paper for those attending the workshop on 16 June on Headline indicators of progress for a green economy, and was subsequently revised to reflect the discussion during the workshop. The workshop examined the issue of how a set of headline indicators of progress can help create change towards a green economy from a European perspective, taking the UK as a case study given the various strands of activity on this agenda in the country over recent years. The aim of NETGREEN is to accelerate the transition to a green economy by creating http://measuring-progress.eu/ - an open-access, searchable, web-based database that enables those working in the field to identify and compare indicators that can be used to measure progress towards their vision of a green economy. The first section of this paper sets out the issues to be addressed when developing headline indicators of progress for a green economy and the nature of the challenge as we understand them. In the second section we describe three official indicator initiatives in the UK and ways in which they meet or fail to meet this challenge. In the third section we describe a process for developing headline indicators and set out an indicator set that emerges from this process. In the fourth section we raise some questions about whether or not the challenge we have described is relevant to the European Commission as well as to member states.